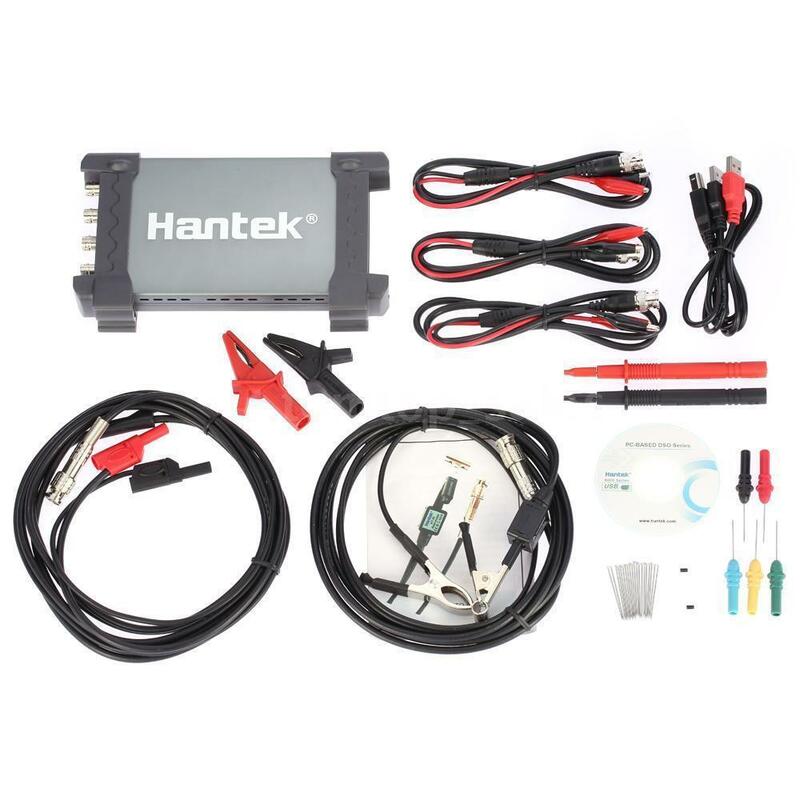 Standard equipped over 80 types of automotive measurement function (Ignition Action/The Sensor/Bus Diagnosis/Performer/Startup&Charge),USB 2.0 interface plug and play, and need no extra power supply, Support tablet PC, Support WIN10/ WIN8/WIN7 etc. 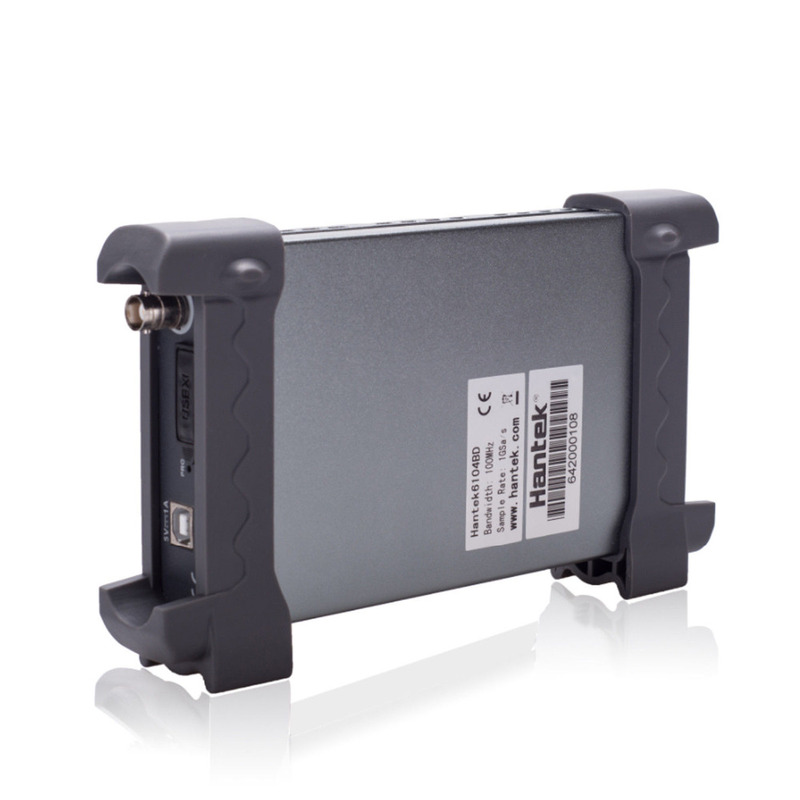 Free software upgrading constantly, higher cost performance, Support USBXI, easy to operate. 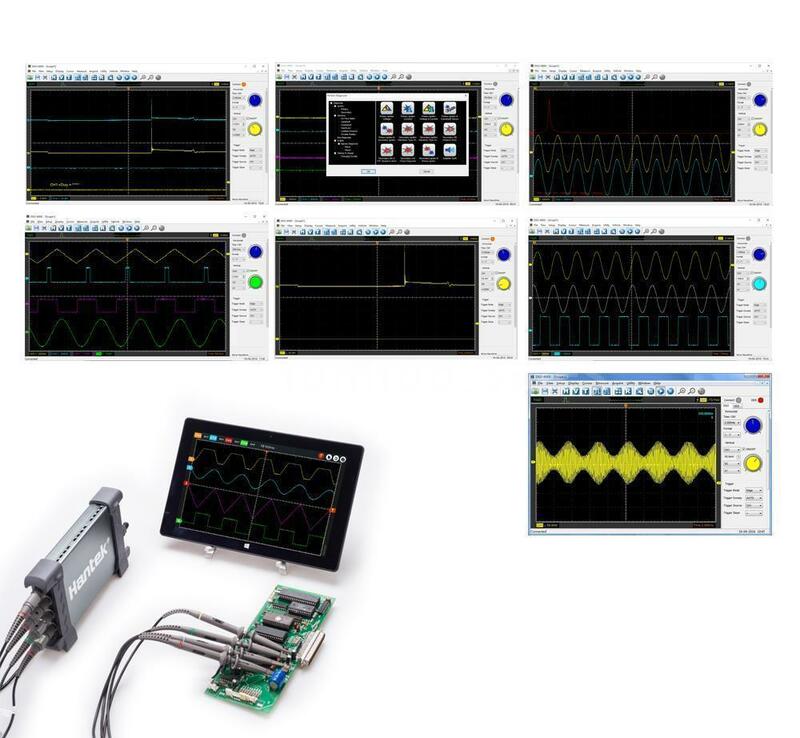 4 isolated channels oscilloscope, 1GSa/s real time sampling rate, 2mV-10V/DIV high input sensitivity and large input range, 250MHz high bandwidth, small size, easy to carry. 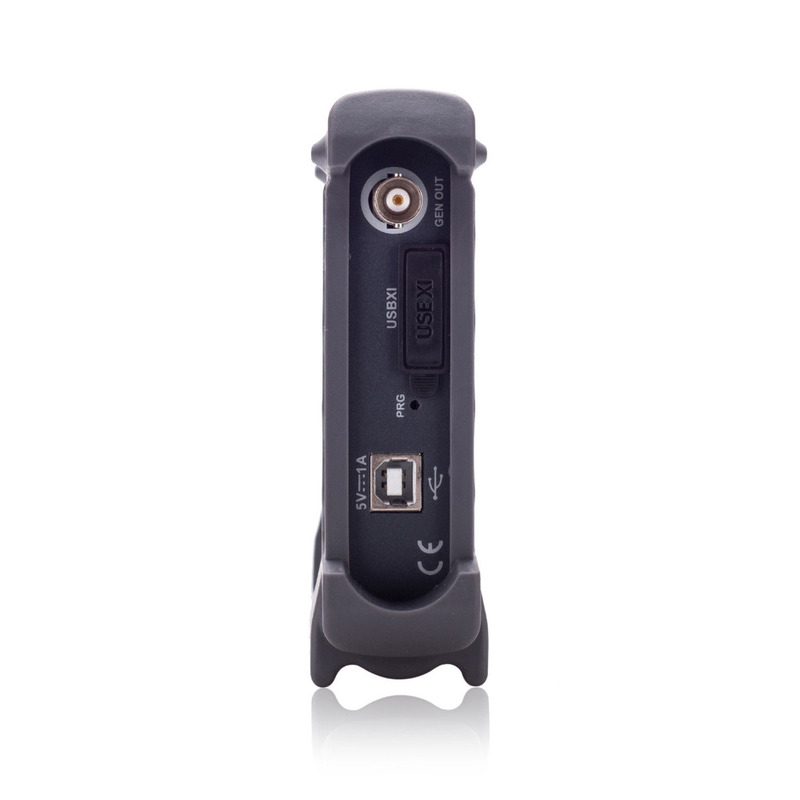 Dynamic cursor tracking, waveform record and replay function. 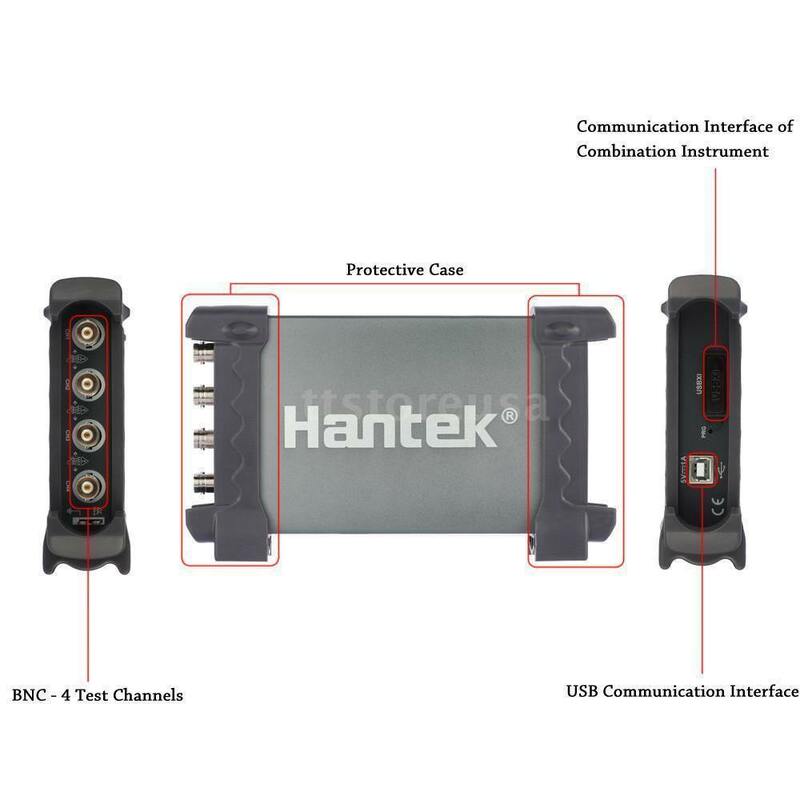 USB 2.0 interface plug and play, and no need extra power supply. Good mechanical design with small size which is easy for carrying. The outer case is made by Anodised aluminium. It has great heat resistance and abrasive resistance with beautiful appearance. The hardness of aluminium alloy surface is greatly improved. 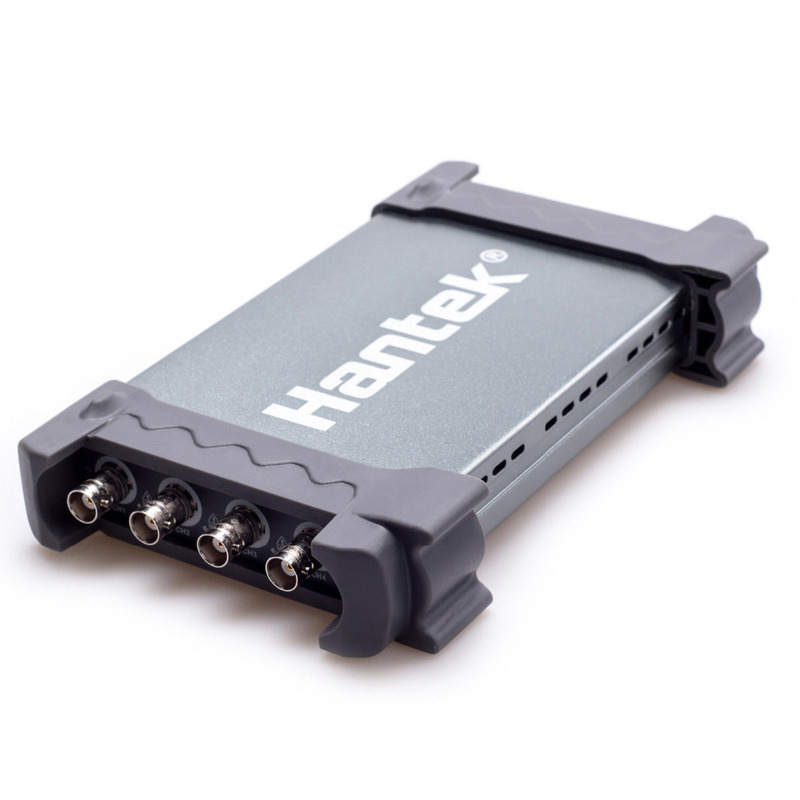 4 isolated channels oscilloscope, 1GSa/s real time sampling rate, 2mV-10V/DIV high input sensitivity and large input range, 250MHz high bandwidth. Provide secondary development library DLL; Provide LabviewVBVCQT developing examples. 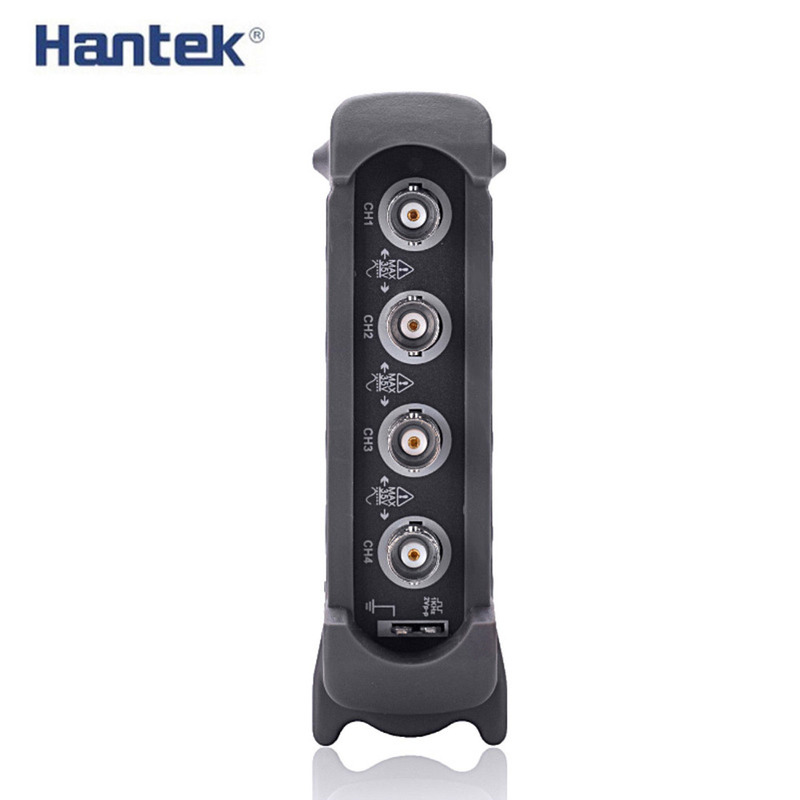 Hantek 6074BE/6104BE/6204BE/6254BE Oscilloscope is for 3 years Warranty! Please read the instruction manual data CD carefully to avoid injury and prevent damage to this product.